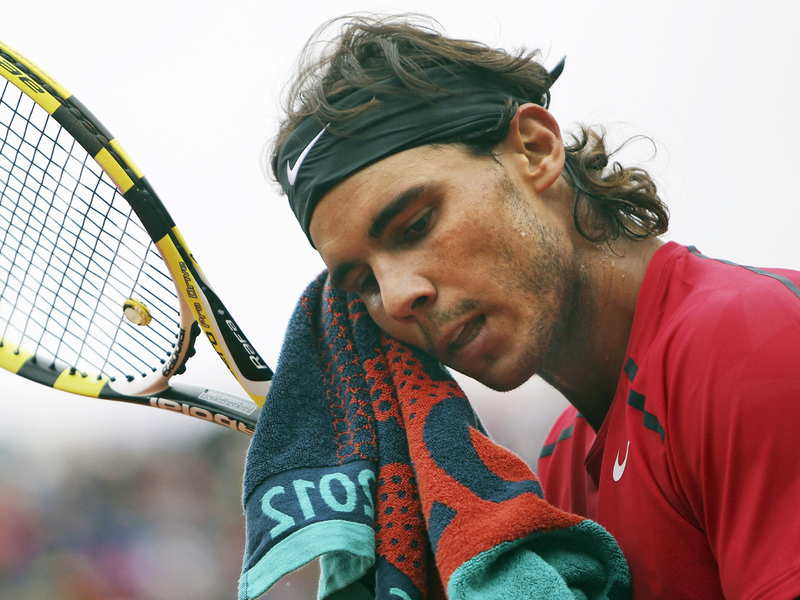 MADRID Rafael Nadal will miss the Australian Open because of a stomach virus, further delaying his comeback after being sidelined since June. The Australian Open, the year's first Grand Slam tournament, begins Jan. 14. The virus kept Nadal from making his return at Abu Dhabi this week. The Spaniard said Friday his withdrawals had nothing to do with the tendinitis in his left knee, which forced him to take a break last summer following his second-round loss at Wimbledon to then 100th-ranked Lukas Rosol. Nadal also missed the London Olympics. "My knee is much better and the rehabilitation process has gone well as predicted by the doctors," Nadal said in a statement. "But this virus didn't allow me to practice this past week, and therefore I am sorry to announce that I will not play in Doha and the Australian Open." The former No. 1 player hopes to return at Acapulco, Mexico, starting Feb. 27. However, he did not rule out playing an earlier tournament if his recovery went well enough. "I always said that my return to competition will be when I am in the right conditions to play," he said. "And after all this time away from the courts, I'd rather not accelerate the comeback and prefer to do things well." Nadal's doctor, Angel Ruiz-Cotorro, said in the statement that Nadal needed at least a week to recover from the virus, ruling him out for the Qatar Open set to start on Jan. 2. And Nadal's coach and uncle, Toni Nadal, explained that Nadal had opted against making his return at Melbourne since he wouldn't be physically fit to take on its five-set format. "We consider not appropriate to play the Australian Open since we will not have enough preparation for a greater competition which is a Grand Slam tournament," said Toni Nadal in the statement. "It is simply not conceivable that his first event is a best of five sets event, he wouldn't be ready for that." Nadal's knee injury prevented the 11-time Grand Slam winner from defending his Olympic singles gold at last summer's London Games, where he was supposed to be Spain's flag bearer in the opening ceremony. He also had to pull out of the U.S. Open and Spain's Davis Cup final against the Czech Republic, and his teammates lost without him.